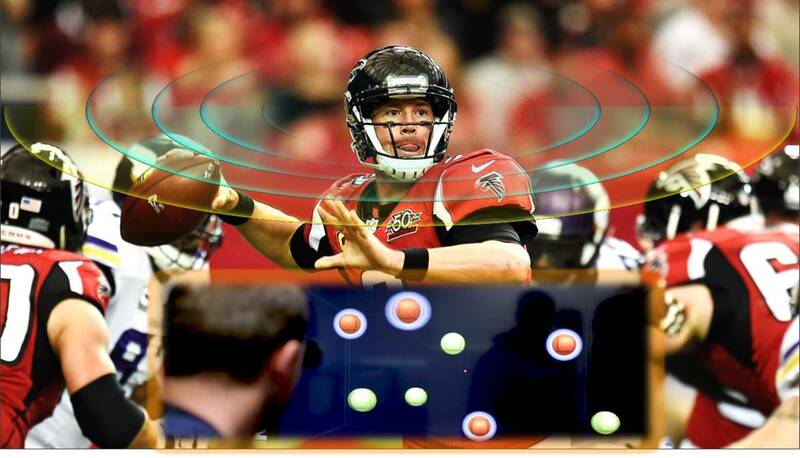 World-class sports starts in the NFL, NBA, NHL, EPL and MLB use NeuroTracker to raise their game. But what exactly does an athlete get out of this type of cognitive training? Here we’ll look at how NeuroTracker can be used to forge super-elite athletic abilities, as well as the performance advantages athletes get on the field. NeuroTracker produces scores in the form of ‘speed thresholds’, which means it measures the speed processing limits that a person can perform 3D multiple object tracking. In and of itself this is known to be an important measure of attention – one of the key skills needed on the sports field. So off the bat, NeuroTracker scores can be used to profile a key aspect of mental performance, which is one reason why NeuroTracker has been used by teams to scout upcoming talent in the NFL and NHL Combines. Cognitive baselines can be achieved by performing 3 Core sessions (6 minutes each). These are used by teams as a measure of performance readiness – if an athlete’s score is down on game day, whether it be from lack of sleep, stress, diet or something else, they’re less likely to be as mentally focused as they need to be. Perhaps the most exciting form of profiling that NeuroTracker can yield comes from an athlete’s ‘Learning Rate’. A landmark study published in Nature Scientific Reports showed that rate at which people improve over the first 15 NeuroTracker sessions can vary greatly, and that elite athletes have superior learning capacities to amateur athletes or non-athletes. This is theorized to be because their brains have greater levels of neuroplasticity, allowing them to cognitively adapt to new demands much faster than others. With this in mind, pro teams can potentially recognize elite athlete potential and use this data to guide their recruitment strategies. Studies with NeuroTracker show that training rapidly and robustly boosts mental abilities in a top-down fashion. Specifically, 3 hours of distributed training has been shown to transfer to improved executive functions, attention, processing speed, working memory, and response control. It has also been found to sustainably speed up brainwave activity, associated with increased alertness, mental focus and heightened levels of neuroplasticity. Sports science shows that these cognitive abilities are all critical in the mental dimension of performance. 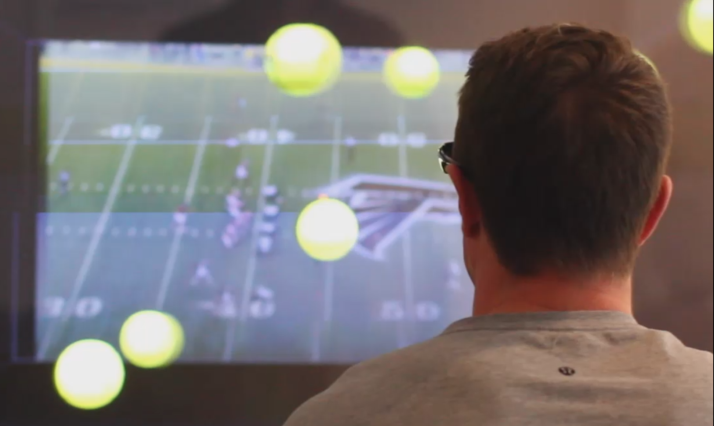 In this way, NeuroTracker offers the possibility to quickly improve mental skills that apply to all areas of sports performance – whether it be reading the next move of an opponent, anticipating play opportunities, or making the right decisions at the right time. To give an example, a recent study showed that NeuroTracker training improved the passing decision-making skills of soccer players by a whopping 15%. Once pro athletes have upped their NeuroTracker levels, they typically use the NeuroTracker Learning System to evolve training the next levels. This involves adding specific sports motor-skills, such as basketball dribbling or soccer passing. Here, we can see an example of how the complexity of dual-task training can progress for basketball players. This approach increases the overall neurophysical loads athletes can handle, with research showing that gains in dual-task training happen very quickly. Or alternatively, athletes who want to raise their playmaking skills use NeuroTracker Tactical Awareness to train-up their decision-making capacities under pressure. This includes recognizing play opportunities as they happen in the background of the NeuroTracker exercise. Matt Ryan, the NFL record-breaking MVP quarterback for the Atlanta Falcons is an example of a sports star who has used this technique to reach new performance levels. So when an athlete has trained up on NeuroTracker to become a master of mental performance conditioning, how does this affect their abilities in competition? On the left here we can see a range of cognitive traits that NeuroTracker is designed to enhance. On the right are the on-field skills that these abilities improve. As anyone can imagine, an athlete who can better react, read plays, anticipate opponents, focus under pressure, and have increased mental stamina, is an athlete with the potential to achieve super-elite performance. With the growing emerging of new technologies combined with neuroscience, the way sports stars are made in modern sports is changing rapidly. The cognitive dimension is fast becoming the number one way for pro sports team to get a critical performance advantage on the competition. That said, technologies like NeuroTracker aren’t only for the pros, anyone seeking to transcend their abilities can start training today! If you’re interested in having a go at NeuroTracker for free, then check out our 2D demo. If you liked this blog, you’ll probably like these too.